Just how important is a Maybelline concealer review in your life? Well, almost everyone needs a little concealer now and then, no matter what your age or skin type. 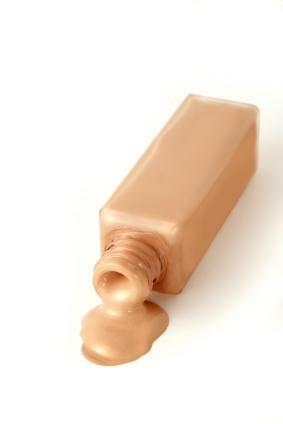 But, the problem with concealers is the wide variety of options and advice centered on a small tube of color. What better way to sort through the information then to read a concealer review online? As a woman who suffers from pale skin, little imperfections show up like stars in the sky. It is rarely the pimple that causes me strife, but actually the redness that lingers for months. Therefore, I simply feel I cannot leave the house without some concealer. Concealer covers two main functions, hiding discolorations and eliminating under the eye circles. I ended up buying Maybelline's EverFresh Concealer to manage this dual functionality. I chose EverFresh for this Maybelline concealer review because of the availability of the brand at my local grocery store. After using this concealer for a month, the following was my experience with this product. A fine liquid style of cover up, EverFresh did stay fresh looking all day long over the smoother areas of my skin surface, such as the cheeks, chin, and forehead. My favorite feature of this product was how lightweight and blendable it is. You can dab imperfections with the soft tip of the wand for maximum coverage or use your finger to swipe a small amount for slight discolorations. I have even used this concealer instead of a foundation, by smoothing it lightly over areas I want to cover, on days that my skin naturally looked more vibrant. The one area where this Maybelline concealer review fails is in the creases. When I use Maybelline EverFresh as an undereye concealer - it settles into my fine lines and actually accentuates them. Therefore, the dark circles are gone, but in their place are wrinkles. I have thus decided to not use this concealer under my eyes, although it may work fine for a younger skin. Another area of concern is the color selection. Maybelline only offers this concealer in four colors, which is fine for dark circles, but if you plan to use it to cover up blemishes, these colors can be too light. For an actual raised pimple, I don't use EverFresh and instead use a foundation stick. This concealer tends to highlight a bump and draw attention to the mini volcano, instead of concealing it. For lightweight coverage of skin discolorations, I will continue to use this product. The cost, availability, and ease of use are these concealer's strengths. For under eye problems and pimples, I would recommend a cover up stick or simply a basic foundation.